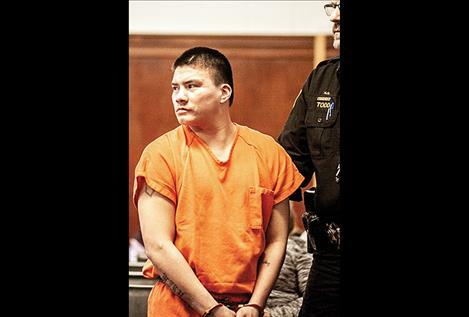 Darius Samuel McDougall was sentenced to five years with the Montana Department of Corrections with three suspended for felony accountability to robbery. 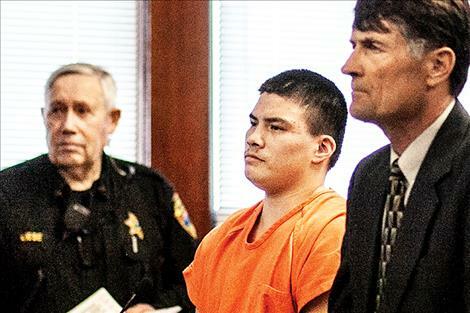 Gaige Alexander Caye was sentenced to a total of 15 years with the Montana Department of Corrections with 10 years suspended for felony robbery and criminal endangerment. 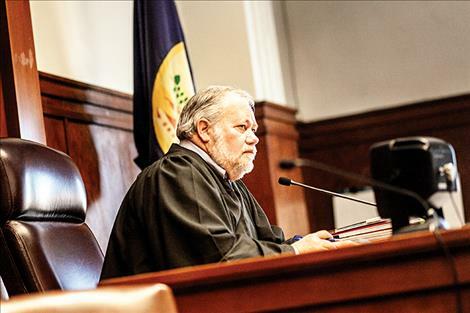 Two Lake County people convicted of what charging documents describe as the robbery of an alleged drug dealer were sentenced at District Court in Polson on March 20. 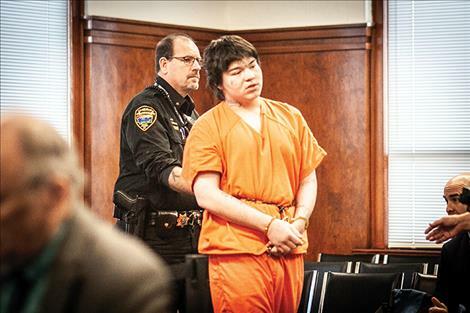 District Judge James Manley sentenced Gaige Alexander Caye, 16, to the Montana Department of Corrections for 10 years with five years suspended on one count of felony robbery. The judge also sentenced Caye to the DOC for five years on a criminal endangerment conviction with all that time suspended and to run consecutively to the robbery sentence for a total of 15 years with 10 years suspended. Caye was given credit for 124 days already served. Caye is currently serving time at the Pine Hills Youth Correctional Facility on an assault conviction adjudicated through youth court in 2017. The 15-year commitment to the DOC will begin when he turns 18. Judge Manley sentenced co-defendant Darius Samuel McDougall, 22, to five years with the DOC with three years suspended on one count of felony accountability to robbery. 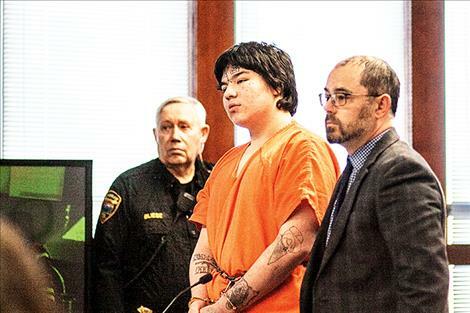 Both individuals were convicted by way of plea agreements reached in February that dismissed two counts each of assault with a weapon. According to court records, on November 15, the staff at St. Luke Community Healthcare hospital reported treating the victim of a gunshot wound. The victim, identified as Dorsette Hendrickx, 25, told responding law enforcement officers that Caye had entered her home and demanded money. She said she and Caye engaged in a physical altercation. She heard a gunshot, noticed that she was bleeding, and threw her wallet at Caye. He grabbed the wallet and ran out. Hendrickx told investigators that she believed the wallet contained about $200. On Nov. 17, Flathead Tribal Police observed Caye as one of four passengers, including McDougall, in a vehicle in Pablo and attempted to initiate a traffic stop. The driver disobeyed signs to pull over and a pursuit began involving other law enforcement agencies. During the pursuit, a 9 mm handgun was thrown from the vehicle. Caye is alleged to have changed spots with the driver before crashing the vehicle. One of the occupants was ejecting during the crash. All four were taken to area hospitals for treatment of non-life threatening injuries. The pursuit was the basis for Caye’s endangerment charge. 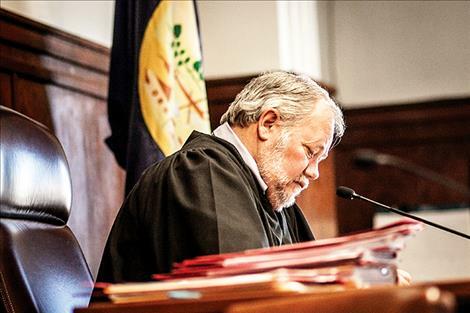 Recommendations for chemical dependency and mental health treatment were included for both defendants.